Get gorgeous salon-like curls with the Remington® Pro ½"-1" Curling Wand with Silk Ceramic Advanced Technology. 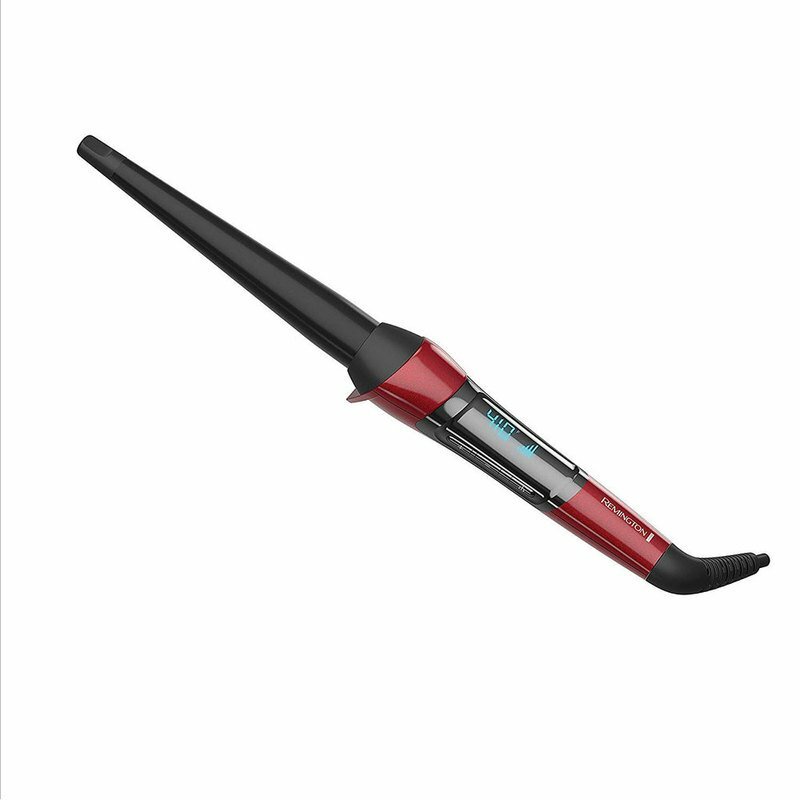 It is the most advanced ceramic curling iron featuring a coating with real SILK proteins and provides more ceramic content than traditional curling tools, giving you a healthy, effortless, long-lasting curl with less frizz and damage. Silk ceramic combined with 410°F high heat and professional performance creates smooth, beautiful and fast salon results. Create tight bouncy curls or loose waves with the ½"-1" barrel. Versatility has never been easier.